Talks in Moscow between Putin, Hollande and Merkel continue. By evening some details and background of these negotiations became public; some evaluate them as a final attempt to avoid further escalation in Ukraine. As gazeta.ru has stated, the Americans have no relation to Merkel’s and Hollande’s proposals and are simply observing. Actually, this fact already indicates that achieving stabilisation in Ukraine without US participation will be difficult or even impossible. The USA also still continues to insist on the Minsk format and yet maintain their main threat at this stage—to start delivery of lethal weapons to the fascist junta In this regard, European attempts to avoid a major war are understandable, but they run into the same problems as the Kremlin’s attempts to freeze the conflict—the initiator and main beneficiary of the conflict is not participating in the negotiations, which, a priori, reduces their worth. According to unconfirmed reports, among the issues discussed is a review of the demarcation line between the parties that is already quite different from the line that was agreed in the secret protocols to the Minsk Agreement. 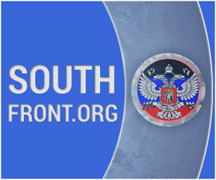 The Kremlin naturally suggests considering not the old line (which Kiev breached by seizing Donetsk Airport), but the current one, where the Debaltsevo protrusion has become the Debaltsevo “intestine.” In this respect, adopting the Kremlin’s proposals would be a de facto recognition that full implementation of the Minsk Agreement is no longer possible and that they must be amended. In fact, such assumptions are based on the idea that Merkel and Hollande anyway offered to adjust the Minsk format since neither Kiev nor Donetsk, nor Moscow are going to implement it in its original form. On the eve of the start of the negotiations, Merkel and other German dignitaries were very sceptical about the possibility of any progress in negotiations on Ukraine. “We do not know whether these talks will be long or short or whether they will be the last. We are only doing what we can to resolve the conflict and stop the bloodshed,” said Merkel. Nevertheless, the long-term nature of the talks in the Kremlin, where now the issues of war and peace are being solved, indicates that the parties will try to find common ground up to the very end and, if not to end the conflict, then somehow to slow down its development. It is already quite clear that if agreements on Ukraine are not reached, Europe will impose new sanctions against the Russian Federation in February. In the area of Debaltsevo where the local truce for evacuating civilians was timed, so to speak, to negotiations, it was de facto thwarted. The population in Debaltsevo was very badly informed about the safe corridor; the Junta’s troops also opened fire during the “truce”, showing once again how easily the Junta breaks any agreement, even minor. Overall, we await the outcome closer to nightfall and will thereby see in which direction the Ukrainian Civil War will be steered. All that is encompassed by the phrase “Empire of Chaos” makes me ill and despairing for the future of humanity. Good report from Col Cassad. In the absence of any reason for optimism, it seems best to learn what reality is, as against the delusions of the Empire/Washington and the Kiev Junta. This is Part 2 of the posts on the discussions in Moscow. They got nowhere, but are planning to meet again. It is clear that as long as US is so militant no long-term peace will be possible. Originally, Ukraine was EU´s expansion, but the USA has worked towards making it their interest to aggressively recruit Ukraine. The timing of the announcement of Obama (presented by Kerry) was to arm Ukraine with “defensive (?) weapons”. on the kremlin talks, i notice how merkel showed very tense and nervous, today speaking among homosexual obama, i saw here shamed… no way to turn out. is ugly to see how big preasure is being put to her, she so tense and ashamed, even afraid as hollande must to be. she is not being her, she’s not allowed. Dear GAB, Angular Murkyhole is a sociopath and never feels shame, nor will she ever admit to being wrong. Our best chance is that she will get ousted and maybe by: https://www.youtube.com/watch?v=gnHPmcUgfRU Sahra Wagenknecht.